Choice Hotels International, Inc. (NYSE: CHH), one of the world’s largest hotel companies, and O’Reilly Hospitality Management, LLC, a prominent hotel and restaurant developer and management company based in Springfield, Mo., will officially announce the expansion of the upscale hotel brand, Cambria Suites, into the Phoenix market. The announcement will also offer a first look at the brand’s national training kitchen, to be located at Cambria Suites Phoenix-Desert Ridge, and newly crafted banquet and events menus, both overseen by acclaimed celebrity Chef Michael DeMaria. Cambria Suites offers contemporary, upscale accommodations at affordable prices. 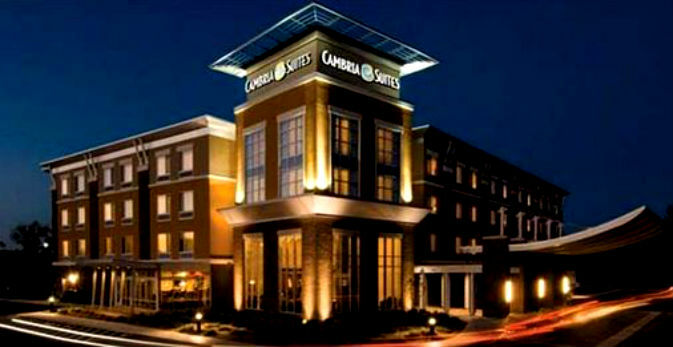 Designed as a lifestyle hotel brand, Cambria Suites offers more than just a place to sleep at night. It features a larger lobby to give guests a more social atmosphere, all-suite rooms that are larger than standard hotel rooms and include a separate living, working and sleeping space, providing business and leisure travelers a haven to relax, socialize and network. There are 18 properties open across the country, representing nearly 2200 guest suites, and 26 properties in various stages of development, representing an additional 3700 guest suites.